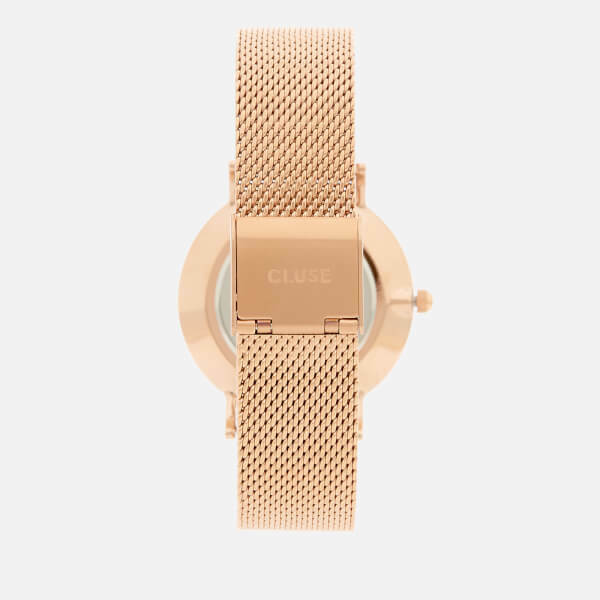 Rose gold-plated watch from Amsterdam-based label, Cluse’s collaboration with superstar fashion influencer and Cluse ambassador Negin Mirsalehi. 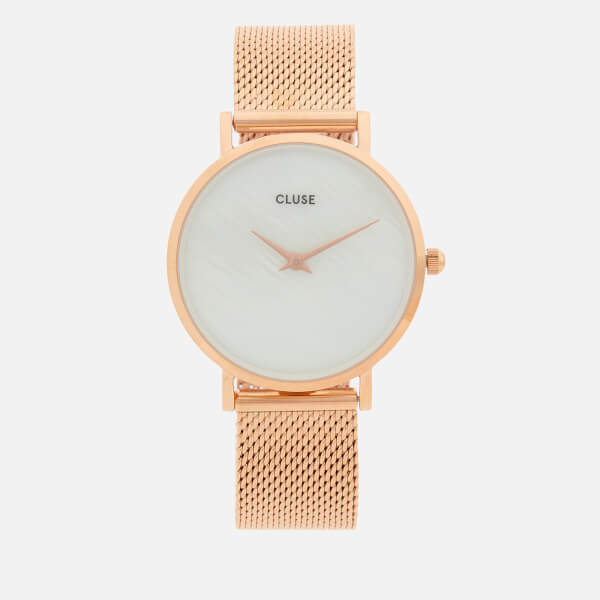 Showcasing a modern, minimalistic design, the elegant timepiece features a rounded stainless steel case inset with an eggshell white face and protected with mineral glass. 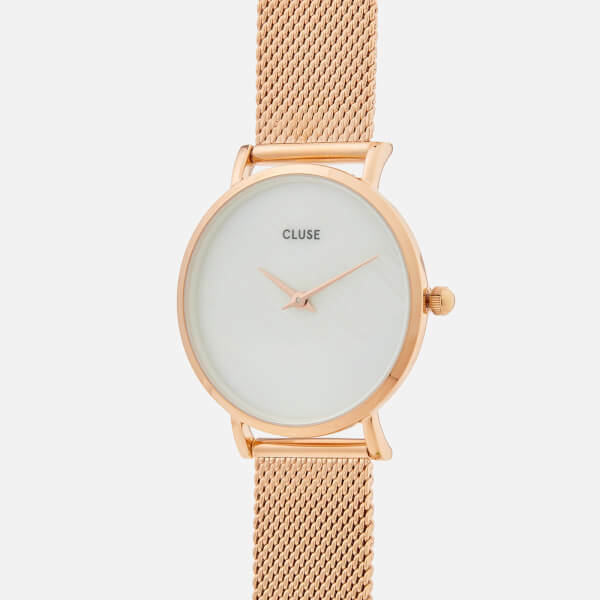 Finished with signature Cluse branding and Roman Numeral and dash hour indexes, the watch functions on a Japanese Quartz Movement and is fitted with a tonal rose gold mesh strap and unique jewellery clasp closure. The set comes complete with an additional strap crafted from chevron quilted Italian velvet over a leather base. Case/Strap: Stainless Steel. Glass: Mineral. 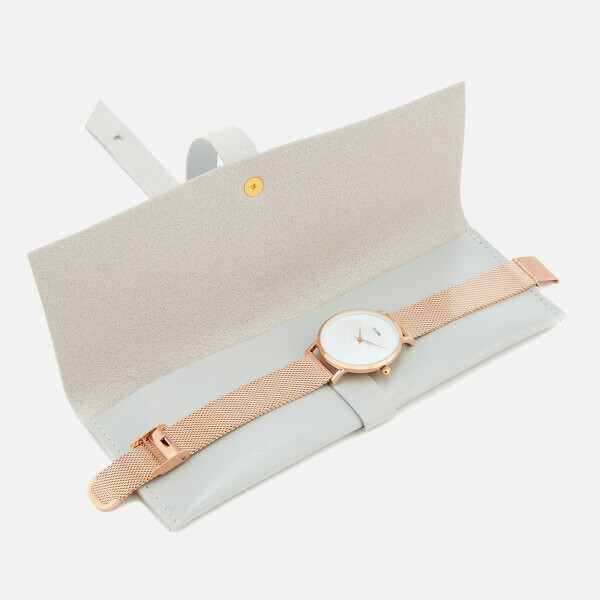 Additional Strap: Velvet/Leather. Case Diameter: 33mm. 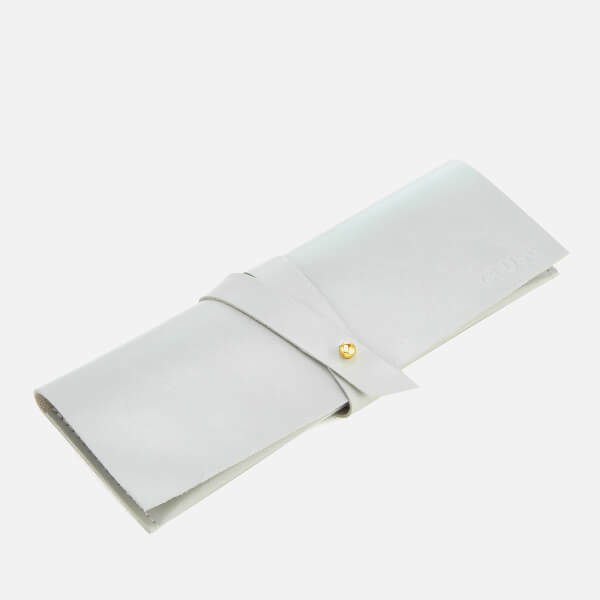 Case Thickness: 7mm. Water Resistance: 3 ATM (Splash proof and waterproof in small amounts of water).